That’s me, the mom crouched down on the bottom left with the headband. That’s my kid, Hudson, running. We went to the Des Moines Superhero Heart Run last year, hoping he would like being surrounded by other kids with special hearts. Or maybe I needed affirmation that he would soar along with others in similar situations. Regardless, as the race started, he was almost immediately the last one in the pack, by a lot, and was looking quite defeated. And I felt the intensity of his little overworked heart and I got immensely sad, thinking about how hard life is for him and how he’s old enough to start to see it. My eyes started to swell with the tears only heart moms can understand. And then he saw me cheering. And he smiled this gorgeous grin that he has in this photo, and kept going. And I thought, yep, that’s it, that’s all that matters. Loving each other for however long it lasts. Not how fast you run or how hard it is, just love. And the photographer managed to some how capture that moment, and oof, it’s amazing. 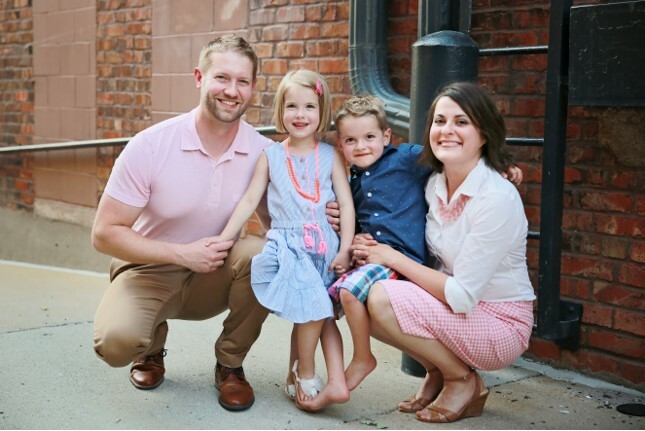 The Story of Hudson began in December 2010 when Hudson was diagnosed with Critical Aortic Stenosisat his 18-week ultrasound. At 21 weeks he had an in-utero valvuloplasty, a surgery with miraculous possibilities that didn’t end up being miraculous for Hudson. Induced near term, it was six days after his birth in Ann Arbor, Michigan, when he had his second heart surgery (hybrid procedure). Eventually diagnosed with a variant to Hypoplastic Left Heart Syndrome, he then had the typical three-stage surgeries; the Norwood (3 months old), Hemi-Fontan (8 months), and Fontan (2 ½ years). This amazingly resilient boy with an infectious laugh, a tight hug, and a love for all things movie-related is seven years old now. And growing into the boy I feared his heart wouldn’t allow him to become. This summer he spent time riding his Spiderman bike (with a little help on hills! ), swimming (he loves to be under water), and reading (about superheroes). He’s so active that despite eating constantly, he still needs the g-tube so we can give extra calories when we have the opportunity to squeeze them in. His favorite foods are spicy buffalo wings, chips with salsa, pickles, anything dipped in hot sauce, and chili spaghetti. When Hudson was younger, I struggled with how we would simultaneously share with him how glorious it is that he survived, while not hiding the fact that his heart will never be fixed and what that means. I spent a lot of time thinking about this,, which retrospectively, was ridiculous. Life has a way of giving you exactly what you need. Like when your kid runs a race with other heart kids and you both realize it’s not how fast you run that makes the race good. It’s the love along the way. 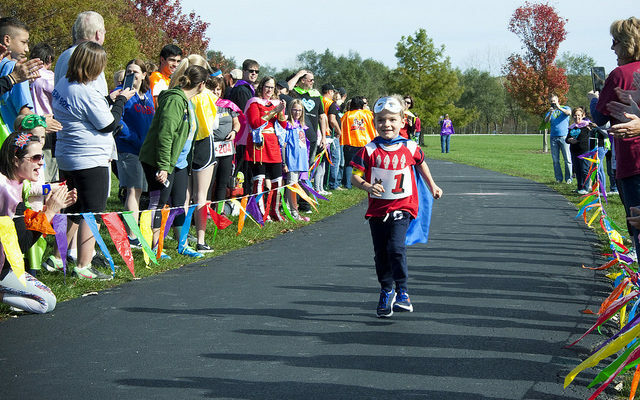 If you’d like to join us for the 5th Annual Superhero Heart Run on Sunday, October 14th, 2018 at Raccoon River Park in West Des Moines & meet more Heart Heroes like Hudson, go to the Superhero Heart Run – Des Moines website to register! Guest Post Written by Shannon Boyd – Shannon is the proud mother to Hudson Boyd. 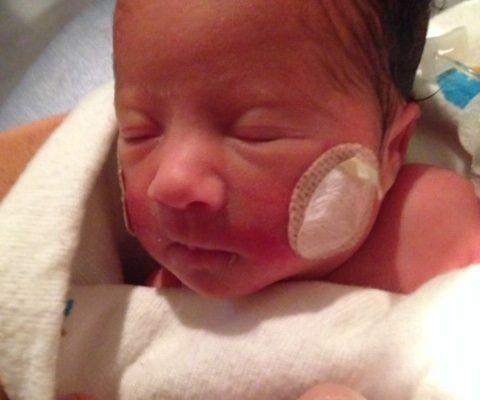 At 18 weeks gestation, Hudson was diagnosed with critical aortic stenosis, his parents told that he would likely die, and his best hope was with a surgery that wasn’t done in the state they lived in. Eventually diagnosed with a variant to hypoplastic left heart syndrome, he’s been in and out of the hospital for collectively nearly a year of his life, but is now thriving as a first grader. His mom, a pediatric occupational therapist, has spent the last 7 years trying to control the uncontrollable, and is slowly learning to let go and appreciate the ride.